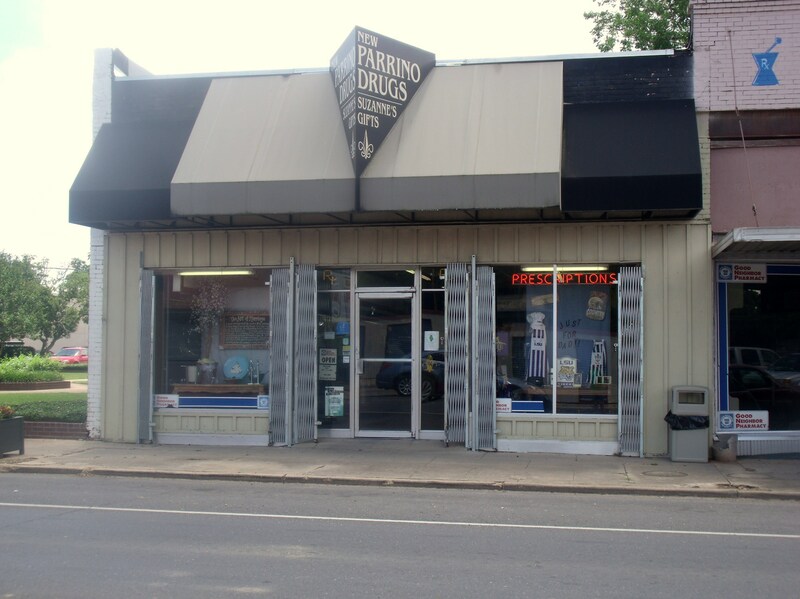 Parrino’s Drug Store In Beautiful Downtown Bunkie, Louisiana | Nan Tubre Writes . 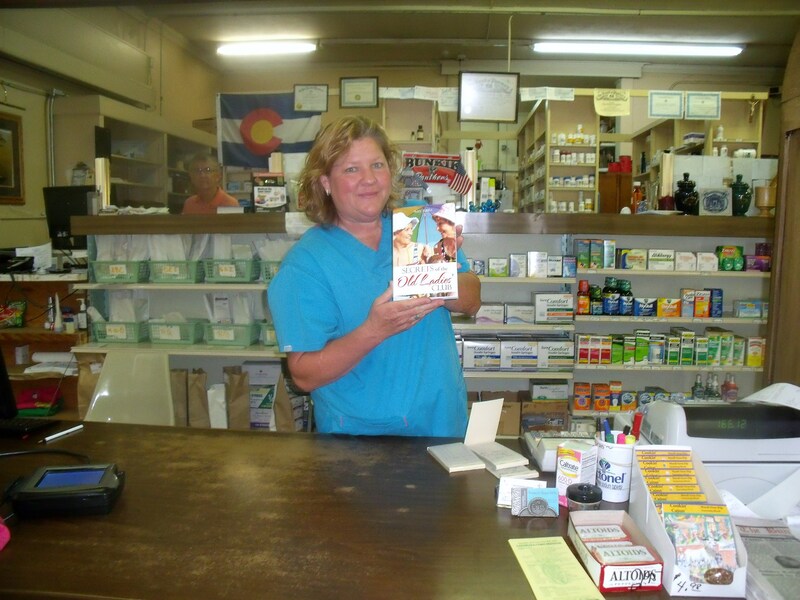 . .
I’m beyond pleased that Parrino’s Drug Store is carrying my book now. I feel like I’ve hit the big time! Let me tell you a little bit about beautiful downtown Bunkie, Louisiana. It’s a pinpoint spot on the map at the crossroads of Central and South Louisiana. I’ve been told Bunkie used to be a happenin’ little town. Coulda fooled me. I’ve known about this place for about 15 years now and it’s always been a sleepy, quiet, little town. It’s really very charming. When I first moved to the area (about 15 miles south of Bunkie – love brought me here 🙂 ) a Walmart lived here. And some delightful antique shops lived on Main Street across from the railroad track. There were about 3 or 4 car dealerships, a Dairy Queen, and a Chinese restaurant, a couple of furniture stores, two grocery stores, Winn Dixie and Piggly Wiggly. They say there used to be a clinic here too. Business used to be good; a couple of sign companies, a Coca Cola company, and I’m sure many more businesses were here. Bunkie used to have a bumpin’ Train Depot. The track slides through the middle of town and everyday, trains pass blowing their whistles ninety to nuthin’. It’s different now. Winn Dixie closed. Walmart closed. Chinese restaurant closed. Car dealership shut down. Sign companies are gone. Antique stores look like they are taking a long nap. Even Dairy Queen left. McDonald’s weathered the economic downturn. So did Piggly Wiggly and City Drug. There are a couple of flower shops, several churches. Fred’s and Dollar Stores replaced Walmart. The most awesome part about Bunkie is the people, I kid you not. I think the people living here love that down home feeling only a small town can deliver. People still walk to their neighbors, or to church. The kids go to school with the same friends from kindergarten to high school. Everyone knows each other and, can you believe it, a person can just say “will you put that on my tab?” and some enterprises will actually do that. You don’t see that much anymore. When I lived in Austin, Texas back in the 80’s, a person had to show three forms of identification to write a check! Bunkie is historic. It’s a diamond in the rough, although it used to shine like a star a long time ago. I hope somebody else sees it for what it is and keeps it from dying a slow death. It’s a beautiful place. 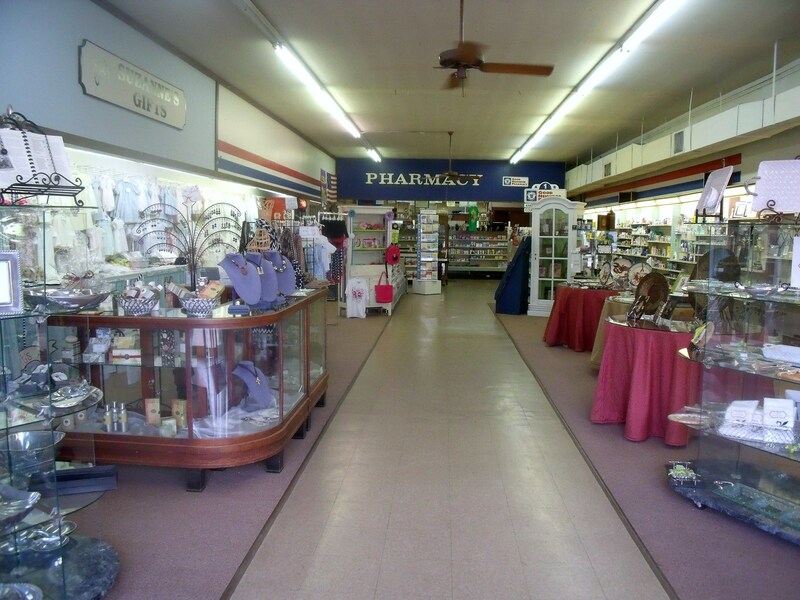 This is a photo of the Parrino Drug Store on Main Street. I’m sure it hasn’t changed on the outside for YEARS. But the inside – now that’s a different story. I love that store! It’s full of the neatest stuff! Ya’ll pile up in the wagon and go to Parrino’s! You won’t be sorry. What about your town? Is it a treasure like Bunkie? Feel free to leave a comment on this post. I’d love to hear from you! I bought your book on my Kindle a week or so ago. I haven’t read it yet, but I’m looking forward to it. Reading is something I love, but can’t seem to squeeze in as much as I like. Congratulations on your success with your book! Thank you so much! I don’t have a Kindle but I hope to some day. Hope the Old Ladies make you smile!